Transracial or transcultural adoption means placing a child who is of one race or ethnic group with adoptive parents of another race or ethnic group. In the United States these terms usually refer to the placement of children of color or children from another country with Caucasian adoptive parents. Adoption experts have different opinions about this kind of adoption. Some say that children available for adoption should always be placed with a family with at least one parent of the same race or culture as the child. This is so the child can develop a strong racial or cultural identity. These people say that adoption agencies with a strong commitment to working with families of color and that are flexible in their procedures are very successful in recruiting "same race" families. Other experts say that race should not be considered at all when selecting a family for a child. To them, a loving family that can meet the needs of a particular child is all that matters. Still others suggest that after an agency works very hard to recruit a same-race family for a certain period of time but does not find one, the child should be placed with a loving family of any race or culture who can meet the child's needs. Despite the experts' differing opinions, there are many transracial and transcultural families, and many more will be formed. If you are or wish to be a parent in one of these families, this fact sheet will help you by answering two questions: (1) What should you do to prepare for adopting a child of a race or culture different from yours? and (2) After adoption, what can you do to help your child become a stable, happy, healthy individual, with a strong sense of cultural and racial identity? The following sections describe some issues to consider as you prepare for a transracial or transcultural adoption. While you may think you know yourself and your family members very well, it is important to examine your beliefs and attitudes about race and ethnicity before adopting a child of another race or culture. 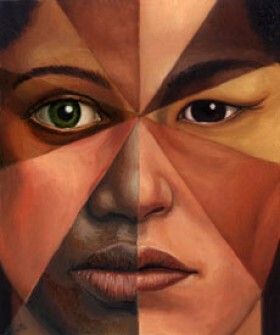 Try to think if you have made any assumptions about people because of their race or ethnic group. 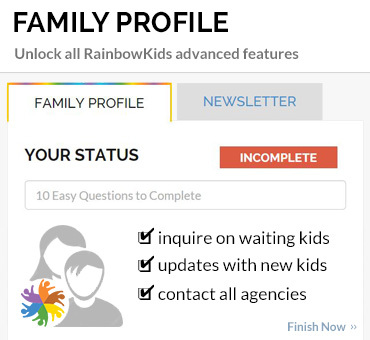 There are two reasons for this exercise: (1) to check yourself -- to be sure this type of adoption will be right for you; and (2) to prepare to be considered "different." It is always good for siblings to be adopted together. It is no different in the case of transracial or transcultural adoption. Siblings who are adopted together have the security of seeing another person in the family who looks like them. They are able to bring a part of their early history and birth family with them to their adoptive family, which may help them adjust better. And with internationally adopted children, being together might mean they will be able to keep up their native language. Let's say, then, that you have examined your beliefs and attitudes about race and ethnicity. You have thought about your lifestyle and considered adopting siblings. You are sure you want to adopt a child from another race or culture. What comes next? 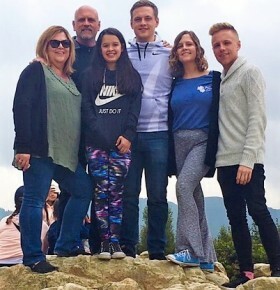 The seven parenting techniques listed below were compiled from books and articles on adoption and by interviewing experts in transracial and transcultural adoption. Some of these "techniques" are common sense and apply to all adopted children. However, with transracially or transculturally adopted children, these techniques are especially important. * Take your child to places where most of the people present are from his or her race or ethnic group. The next sections provide more information on these techniques. Dr. Larry Schreiber, former president of the North American Council on Adoptable Children (NACAC), an umbrella organization for a large number of adoptive parent support groups in the United States and Canada, wrote a column about his transracial adoption experience in the Winter 1991 issue of Adoptalk, 1 the NACAC newsletter. He characterizes transracial parenting as a "roller coaster of exaggerated parenting." As a Caucasian adoptive father of African-American, Latino, Korean, Cambodian, East Indian, and Caucasian children, he describes transracial parenting as the most joyous experience of his life. He admits that he doesn't really know what it is like to endure the racially-biased name-calling that his children have experienced, but he was always there for them when they needed to be comforted and to help them get through those difficult times. Dr. Schreiber says that transracial parenting has both complicated and enriched his life. He had to work hard to help his children develop their cultural pride and self-esteem in a world that sometimes does not understand or is unkind to people from different cultures. However, he believes his children did overcome these difficulties and were able to develop positive cultural identities, mostly because of the help his family received from adoptive parent support groups and from other adults of the same cultural groups as his children. The message, then, is that transracial parenting is not laid-back, catch-as-catch-can parenting. 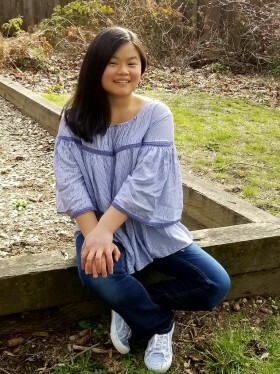 According to these two experienced adoptive parents, the demands are great, but so are the rewards. 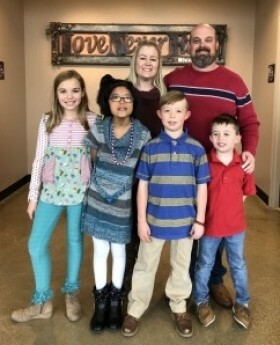 As adoptive parents in an interracial or intercultural family, you should refuse to tolerate any kind of racially or ethnically biased remark made in your presence. This includes remarks about your child's race or ethnic group, other races and ethnic groups, or any other characteristic such as gender, religion, age and physical or other disability. Make it clear that it is not okay to make fun of people who are different, and it is not okay to assume that all people of one group behave the same way.4 Teach your children how to handle these remarks, by saying, for instance, "I find your remark offensive. Please don't say that type of thing again," or "Surely you don't mean to be critical, you just don't have experience with . . ." or "You couldn't be deliberately saying such an inappropriate comment in front of a child. You must mean something else." Try to combat the remarks while giving the person a chance to back off or change what has been said. This way you will teach your child to stand up to bias without starting a fight -- which could put your child at risk. In addition, by being gracious and giving others a chance to overcome their bias/ignorance, you can help to change their beliefs and attitudes over time. Positive exchanges about race will always be more helpful than negative ones. As a multicultural family, you should value all cultures. Teach your child that every ethnic group has something worthwhile to contribute, and that diversity is this country's and your family's strength. For example, you might give your Korean daughter a Korean doll, but you might also start a collection for her of dolls of many different racial and ethnic groups. If your child is from South America, go to the Latino festival in your town, but also visit the new Native-American art exhibit, eat at the Greek fair, and dance at the Polish dance hall. Incorporate the art, music, drama, literature, clothing, and food of your child's ethnic group and others into your family's daily life.6 Invite friends from other cultures to celebrate your holidays and special occasions, and attend their events as well. The area of religion brings up special concerns. You may wish to take your child to a place of worship in your community where most of the members are from the same ethnic group as your child; for example, you could bring your East Indian child to a Hindu temple or your Russian child to a Russian Orthodox church. What an opportunity to meet people of his ethnic group, find adult role models, and learn the customs of his heritage! However, before you do this, be sure you could be supportive if your child decides to practice that religion. If you have your heart set on raising your child in your own family's religion - one that is different from the religion practiced in the place of worship you will visit -- tell your child that the visit is for a cultural, not religious, purpose or perhaps decide not to visit at all. Practically speaking, you can impose your religious practice on your child for only a few years. As an adult, your child will ultimately decide whether to practice any religion at all, and whether it will be one that people of his or her heritage often practice, your family's religion, or yet another one that he or she chooses. While it is important to teach your child that differences among people are enriching, it is also important to point out similarities. One expert suggests that in an adoptive family the ratio should be two similarities for each difference.7 For instance, to a young child you might say, "Your skin is darker than Daddy's, but you like to play music, just like he does, and you both love strawberry ice cream." As much as you want to celebrate your child's distinctive features, he or she also needs to feel a sense of belonging in the family. How has race or culture defined you? What is life like for a Latino person in America? What is life like for a Caucasian person? An African-American person? 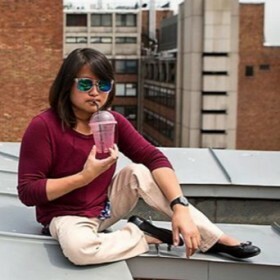 An Asian person? How are persons of different ethnic groups treated by police officers, restaurant employees, social organizations, or government agencies? What do you think about interracial dating and marriage? As a multicultural family, you need to address these and other racial matters. Talk about racial issues, even if your child does not bring up the subject. Use natural opportunities, such as a television program or newspaper article that talks about race in some way. Let your child know that you feel comfortable discussing race-the positive aspects as well as the difficult ones. On the positive side, a child of a certain race may be given preferential treatment or special attention. On the other hand, even a young child needs to know that while your family celebrates difference, other families do not know many people who are different. These families are sometimes afraid of what they do not know or understand, and may react at times in unkind ways. It can be difficult to deal with such issues, especially when your child is young and does not yet know that some adults have these negative feelings, but you have to do it. You will help your child become a strong, healthy adult by preparing him or her to stand up in the face of ignorance, bias, or adversity. Stand behind your children if they are the victim of a racial incident or have problems in your community because of the unkind actions of others. This does not mean you should fight their battles for them, but rather support them and give them the tools to deal with the blows that the world may hand them. Confront racism openly. Discuss it with your friends and family and the supportive multicultural community with which you associate. Rely on adults of color to share their insights with both you and your child. Above all, if your child's feelings are hurt, let him talk about the experience with you, and acknowledge that you understand. * How did that make you feel? * What did you say or do when that happened? * If something like that happens again, do you think you will deal with it the same way? * Would you like me to do something? It is important to leave the choice of your involvement up to your child. 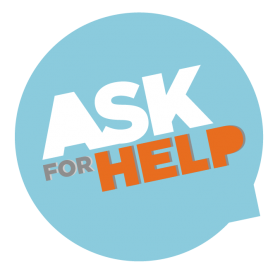 This way, you show that you are available to help, but also that you have confidence in your child's ability to decide when your help is needed. This parenting technique is important for all children, but it is especially important for children of color. Children of color need every tool possible to build their self-esteem. While society has made strides in overcoming certain biases and forms of discrimination, there remain many subtle and not-so-subtle color or race-related messages that are discouraging and harmful to young egos. Be alert to negative messages that are associated with any race or culture. Point them out as foolish and untrue. Emphasize that each person is unique and that we all bring our own individual strengths and weaknesses into the world. Frequently compliment your child on his or her strengths. Draw attention to the child's ability to solve math problems, play ball, dance, play a musical instrument, ride a bike, take photographs, perform gymnastics, or any other activity that increases confidence. Self-esteem is built on many small successes and lots of acknowledgement. A strong ego will be better able to deal with both the good and the bad elements of society. As your child gets older, keep in touch with his or her needs: this might mean buying him or her a few of the in clothes or enrolling him or her on the popular teams. Stay in tune with your child's natural skills and talents, and do whatever you can to help him or her develop them at each age. Another benefit of such an experience is that it might be one of the few times when you feel what it is like to be in the minority. This will increase your awareness and ability to understand your child's experience as a minority individual. 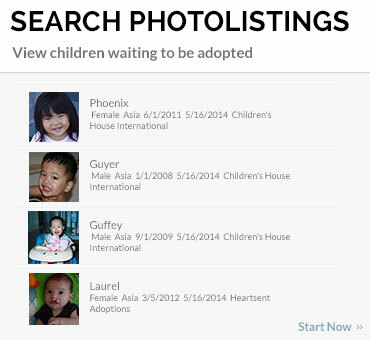 Transracial adoption is a "hot" topic in the media and in adoption circles. There is quite a lot of activity in this area of adoption practice. We offer the following brief sections for your information. Where Can I Find Out More About Transracial or Transcultural Adoption? The National Adoption Information Clearinghouse (NAIC) often receives questions about which adoption agencies place children transculturally or transracially. The answer is twofold. 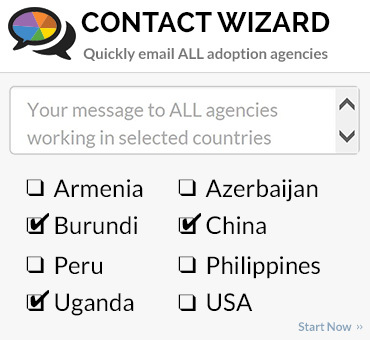 Their names often signal the kinds of adoptions they conduct (for example, if they have the word "international" in their name). These agencies are marked with an asterisk in NAIC's National Adoption Directory. However, many agencies are not as open about their policy on transracial adoption because of some of the controversial issues surrounding this type of adoption. Ask your local adoption agencies about their policies in this area, especially if you are strongly considering this type of adoption. In 1994, transracial adoption was the subject of a bill before Congress submitted by Senator Howard Metzenbaum of Ohio. After intense debate, the Multiethnic Placement Act (MEPA) passed both houses of Congress. One positive outcome of the debate is that people who historically have been on opposite sides of the question are beginning to reach some common ground. One point that everyone agrees on is that adults of all cultures need to work together to help adopted children of all cultures reach their highest potential. Although available statistics are rough estimates, several sources show that the percentage of transracial or transcultural adoptions in the United States is significant. 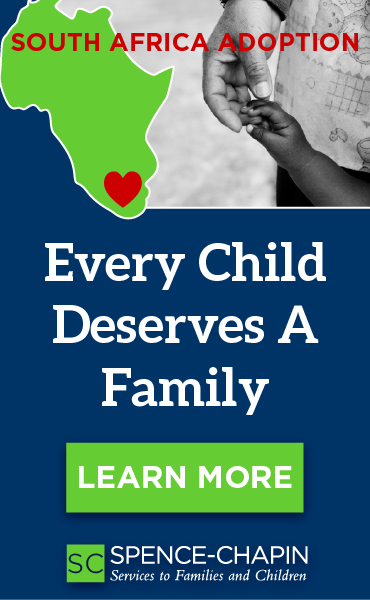 For example, one source estimates that 1,000 to 2,000 African-American children are adopted by Caucasian families each year.10 Data from the Immigration and Naturalization Service show that U.S. families adopted 7,088 children from other countries in 1990. This means that there were roughly 8,500 transracial or transcultural adoptions in 1990. 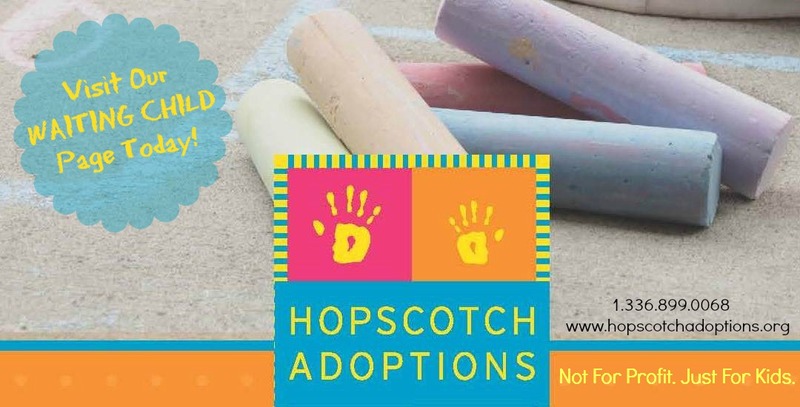 In that same year, there were almost 119,000 adoptions of all kinds.11 Since approximately half of the adoptions in any year are stepparent or relative adoptions, in 1990 there were about 59,500 nonrelative adoptions. The percentage of transracial/transcultural adoptions (8,500 of 59,500) then, comes out to more than 14 percent. 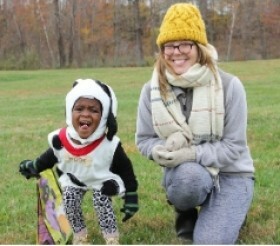 Adopting a child of another race or culture can be a richly rewarding choice for many families, although there are also many unique challenges and concerns. Hopefully the information provided in this fact sheet will provide food for thought and become part of the ongoing discussion in your home. The resources listed at the end of this fact sheet should also be helpful.